Jae Ko was born in Korea and has worked in fiber for nearly two decades, transforming ordinary materials like paper into extraordinary sculptural objects. Her work ranges from discrete wall reliefs and small sculptures to monumental installations that evoke topography and movement. Inspired by visits to Newfoundland and the far northwestern reaches of the United States, Ko reconstructs the melting Tundra, with its floating, fractured glaciers. 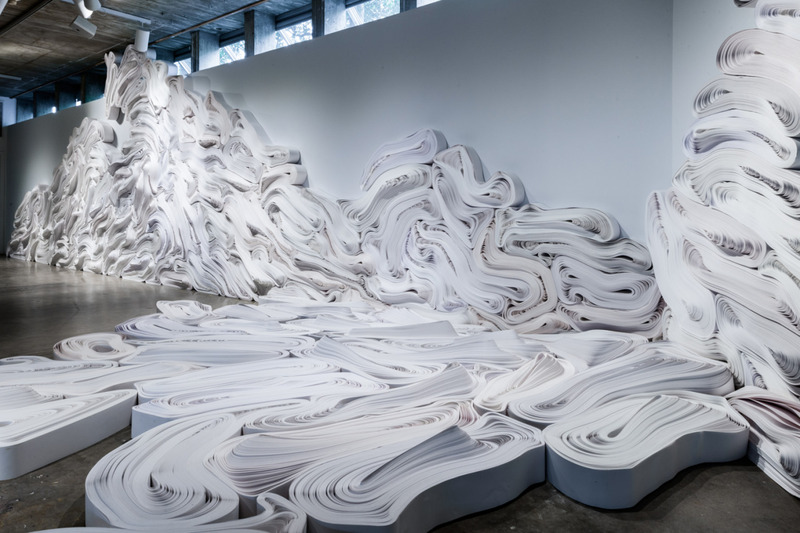 The room-sized monumental sculptural relief is constructed from nearly one ton of recycled paper that has been re-spooled and shaped to fit the architecture of CAMH’s Zilkha Gallery.